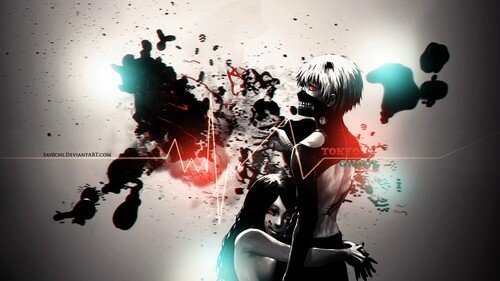 Kaneki and Rize 바탕화면. . HD Wallpaper and background images in the 도쿄 구울 club tagged: photo rize binge eater kaneki tokyo ghoul. This 도쿄 구울 wallpaper might contain 거리, 도시 현장, 도시의 설정, 도시 장면, 도시 설정, 도시 거리, 도시 장면 설정, 기호, 포스터, 텍스트, 칠판, 사인, 서명, 음악회, and 콘서트.